Think about some of the biggest brands out there. They use consistent imagery, colours and styles so that all their materials fit together harmoniously. In marketing speak this is known as a brand identity. You need a wedding identity. I know you’re not trying to sell your wedding, and hopefully you won’t need to do too much advertising to get people to turn up. So how will this identity help? It’s all about cohesion. Everything should look like it belongs together. The girls’ dresses shouldn’t clash with the boys’ ties. The napkins should look good tucked into the groom’s suit. Your ‘save the date’ should look like it came from the same wedding as the formal invitation. That kind of thing. Not to mention how much it will help you narrow down some of the huge array of choices you have out there. This is really something you should be thinking about early on, before you start picking flowers and ornaments. If you’re like me, you will probably think you can do it all yourself. You’ll fire up Microsoft Publisher, think of your favourite colour and then get cracking on your designs. Let me give you the benefit of all the lessons I learned the hard way. 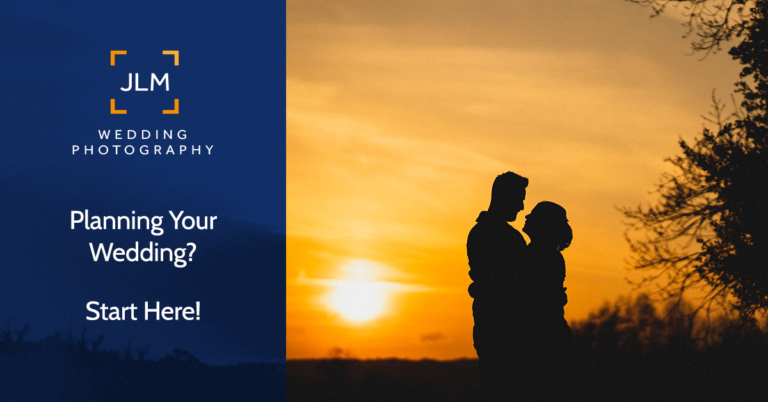 When I started my wedding photography business I knew I needed a brand identity. I needed all my business cards, flyers, posters, watermarks and everything else to follow that identity to build up a brand of my own. So, I fired up Publisher, or maybe Photoshop, and started hunting for a nice font. Then I picked a colour I quite liked and used an online colour wheel to pick out colours to match it. Eventually I realised that my designs just didn’t reflect the image I wanted my business to have. I wanted to come across as professional and my amateur logos just weren’t cutting it. And here is where this is relevant to you planning your wedding, I did what I should have done at the very beginning and started looking for a graphic designer. I think now is a good time for me to take some of my own advice and hand over to a professional. As you may already have noticed, I’m a wedding photographer, not a graphic designer. And whilst I know many believe that we photographers are also expects at image manipulation, I can assure you this is not always the case. To continue this complete guide to wedding stationery, we need an expert on wedding stationery. Meet Chris Green of Chris Green Design. Chris is an extremely talented freelance Graphic Designer who also happens to be the mastermind behind all the branding for JLM Wedding Photography. As well as helping small businesses like me build up brand identities he also specialises in Wedding Identities. Also known as Wedding Stationery. 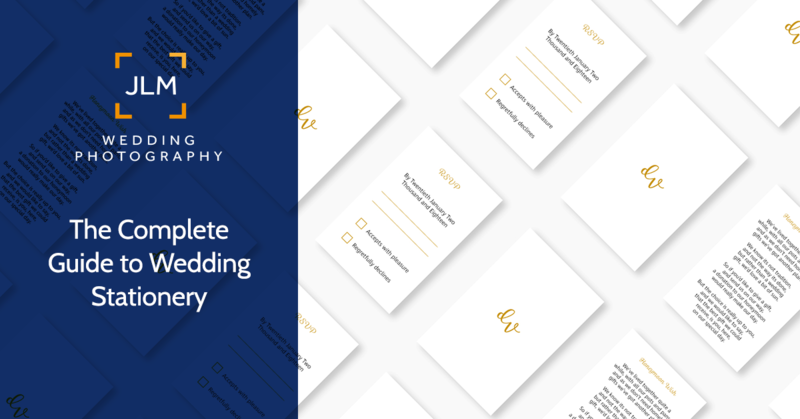 Chris has been kind enough to give up some of his precious time to answer a few questions about wedding stationery and wedding identities. JLM: Chris thanks for taking the time to help people plan their wedding stationery. Can you give us an introduction to Wedding Stationery and what you would typically provide? CG: Well, it all depends on what the client wants. I can offer a full stationery package which includes save the date cards, invitations, RSVP’s, order of service cards, table plans, name cards, menu’s and for after the big day, thank you cards. However, the beauty of going bespoke allows you to pick and choose from this list too. If a client just wanted invites and save the date cards, that’s no problem. JLM: How soon into planning a wedding should couples start considering wedding stationery? CG: As early as possible, the more time we have to work with the better. This allows plenty of time for amendments, printing and delivery. JLM: What are the current trends for wedding stationery? CG: Trends in design are always changing, but with wedding stationery it totally depends on the client’s personality and wedding theme. For example, if they decided to have a “Harry Potter” themed wedding day, I would research the style of Harry Potter and create something that looked like it would fit into the wizarding world of Harry Potter, such as the typography, layout, colour and supporting graphics. JLM: What should couples think about before meeting up to discuss their Wedding Stationery? CG: Come with as many ideas as you can, whether it be the theme, the print finish or the amount you need. However, if you haven’t got a theme and wanted to leave it my hands, that’s also fine. JLM: What do you do to set Chris Green Design apart from other Wedding Stationers? CG: The personal approach. With each of my clients I like it to be a friendly, laid-back relationship. Meeting up over a cup of tea, discussing ideas and creating something together, that works best in my experience. Being able to speak to someone in person and explain what style you’re going for and ask questions along the way ensures you will get the prefect stationery, exactly how you imagined it. Planning a wedding is one of the most stressful things you will probably ever do, I like to take the pressure off when It comes to the stationery so they can focus on the venue, the food and the dress among other things, the list is endless right? JLM: What are the benefits of going bespoke? 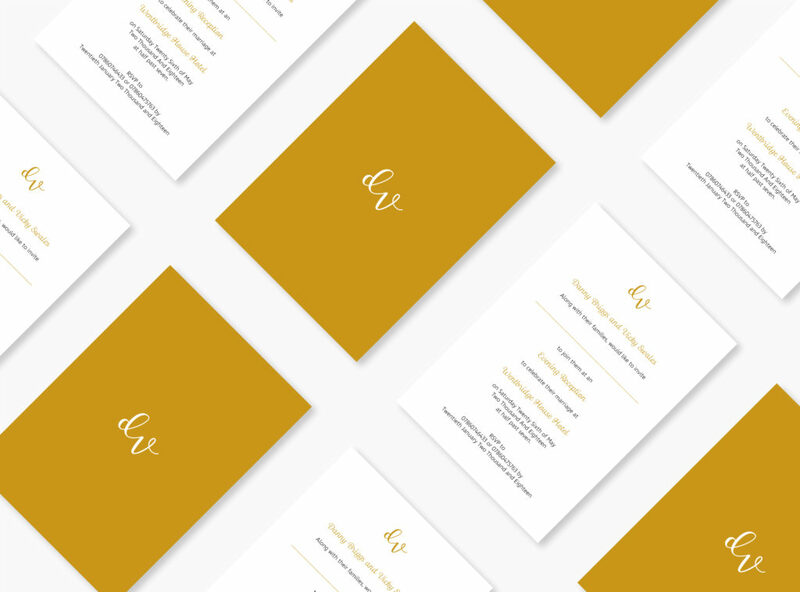 CG: With absolutely no limitations when choosing to get bespoke wedding stationery, clients can literally have ANYTHING they want, the typography, the print finish and layout to name a few, they aren’t tied down to templates which you find on online. JLM: Thank you for your time and insights today Chris. Can you drop your links below so that people can get in touch if they have more questions? CG: Sure! 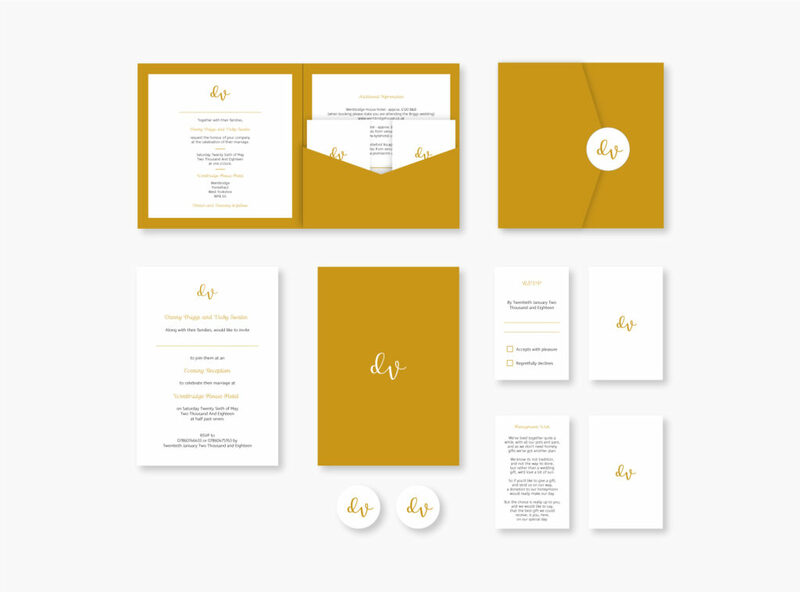 If you are thinking of going down the route of bespoke wedding stationery, just head over to my website www.chrisgreen.design or email me at hello@chrisgreen.design. You can also contact me on social media, all my social profiles are displayed in the footer of my website. Your wedding stationery will define the look and feel of your wedding. Even if you are planning a laid back wedding, as most of my couples are, you still want your flowers to match your napkins. Believe me when I say that choosing a colour is not as easy as you think. 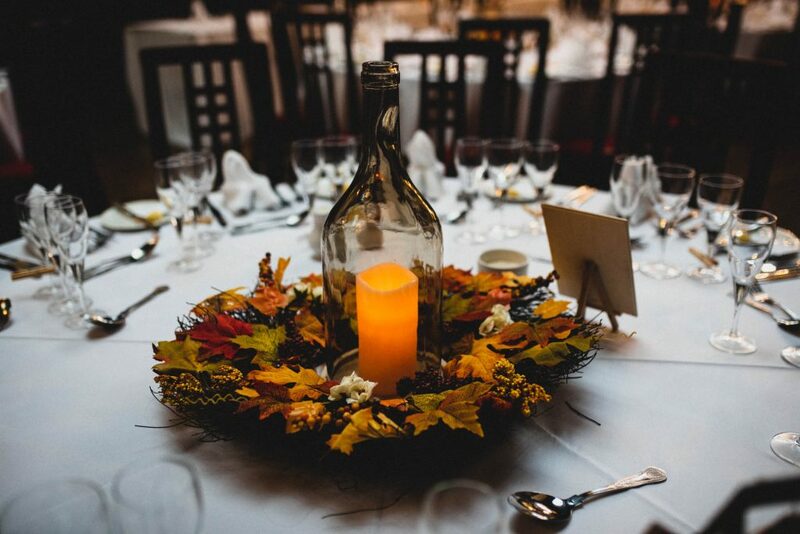 A professional graphic designer can bring together elements of your personality, your ideas along with the time of year and type of venue to find the perfect ‘look’ for your wedding. If you get the look and feel of your wedding right, your guests probably won’t even notice. Get it wrong though, and you could be the talk of the town.